The Facebook IPO may have been a fiasco, but don't put the nail in the coffin just yet for other tech offerings this year. The success or failure of tech company IPOs will depend on market conditions, not fallout from Facebook, analysts say. The Facebook IPO was in many ways an anomalous event, a public offering of one of the most-hyped companies ever, taking place against market headwinds. The events specific to the whole mess -- which ultimately, successfully brought in US$16 billion for Facebook -- don't by themselves mean that a tech bubble has been burst. "An Internet bubble came and went in one day," said John Fitzgibbon, who runs IPO Scoop.com. "One thing got overlooked in all the hysteria," Fitzgibbon said. "The stock market was not in great shape." On the eve of the IPO, the Nasdaq had come down from earlier highs of the year, and they are still down. The tech-heavy Nasdaq, which closed Friday at 2837.53, down by 1.85, is now about 10 percent off previous highs. Problems with sovereign debt in Europe, fears that Greece will default and pull out of the euro, and mixed economic reports in the U.S. have put a damper on stocks lately. "I've talked with investors and they've been grumpy -- things were getting a bit frothy right up to the Facebook IPO," said Canaccord Genuity analyst Richard Davis. Meanwhile, a lot went wrong with the Facebook IPO itself, starting with how the offering was put together. Facebook picked a half-dozen high-profile investment bankers, led by Morgan Stanley, to see the offering through. "What if putting way too many banks on a cover, thereby slicing fees to insulting levels for everyone, simply makes nobody interested or accountable?" asked Davis. "I've said it before, and even if it hacks off issuers, boards, or whatever -- it is just plain stupid to do IPOs with so many banks on the cover." The underwriters at the last minute increased the size of the offering and jacked up the offering price to an astronomical value, compared to what the company actually earns. Even based on the value of Facebook shares a week after the IPO, down about $7.00 from the initial asking price, the company's price-to-earnings ratio is 72.20. 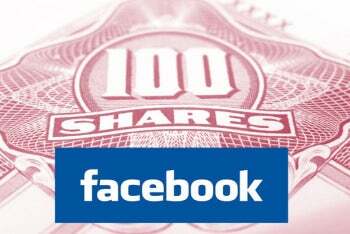 In other words, it costs about 72 times the amount that Facebook is earning per share to buy that share. Apple, arguably the most successful company on the planet right now, has a P/E ratio of only 13.68. (Facebook's earnings per share are $0.43, while Apple's are $41.04). Then, stories from Reuters and the Wall Street Journal, among others, reported that a Morgan Stanley analyst had cut his revenue forecast for Facebook in the days before the offering, and may have only told top clients verbally, rather than spreading the word publicly. If true, this action could be interpreted as an infraction of financial laws, and now spokesmen from U.S. House and Senate committees monitoring the financial sector, as well as the state of Massachusetts, say they are looking into the matter. Problems with the Nasdaq computer system on the day of the IPO made matters worse. The glitches delayed trade notices, and a number of trading firms lost money due to mismatched Facebook share prices. 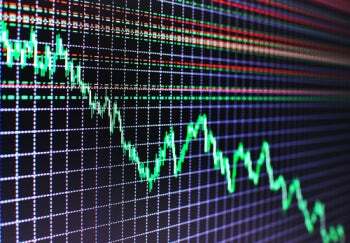 About 30 million shares' worth of trading were affected, the exchange estimated. The multiple underwriters, the price and size of the offering, the technical glitches, not to mention the nature of Facebook itself, all combined to form a perfect storm unlikely to be repeated. "It was a one-time event, a media blitz combined with a Wall Street blitz," said IPO Scoop.com's Fitzgibbon. To be sure, the Facebook fracas may put a near-term damper on tech IPOs from smaller companies and increase scrutiny on earnings results for the quarter. "The bungled IPO has increased investor skepticism, and this means June quarter shortfalls will be severely punished and near-term hot IPOs more difficult to complete at astronomical valuations," said Canaccord's Davis. "But these are both good things." The point is that ultimately, the Facebook IPO fiasco may mean that tech companies teeing up for IPOs this year, and their potential investors, will simply be more realistic relative to market conditions. Out of the 173 IPOs in the U.S. over the past 12 months, 37 have been for tech companies -- more than for any other sector. And there are a number of interesting, up-and-coming tech companies preparing for IPOs this year. Companies mentioned by Davis and Fitzgibbon include firewall-maker Palo Alto Networks, marketing automation vendor Eloqua and SaaS provider Workday. And while U.S. economic indicators have been mixed lately, they tend to start looking good in the months before a presidential election, Fitzgibbon said. In a footnote to the week's financial news, Canaccord's Davis noted that Ariba's market capitalization -- its share price multiplied by its number of shares -- peaked at $40 billion 11 years ago. This week, SAP announced it was buying the company for $4.3 billion. At the right price, you can close any deal. (Also see "7 Tech IPOs That Flopped. ").